I have just received a shipment of attacktix from eBay, and some of the figures were still in the original bags from the booster packs. 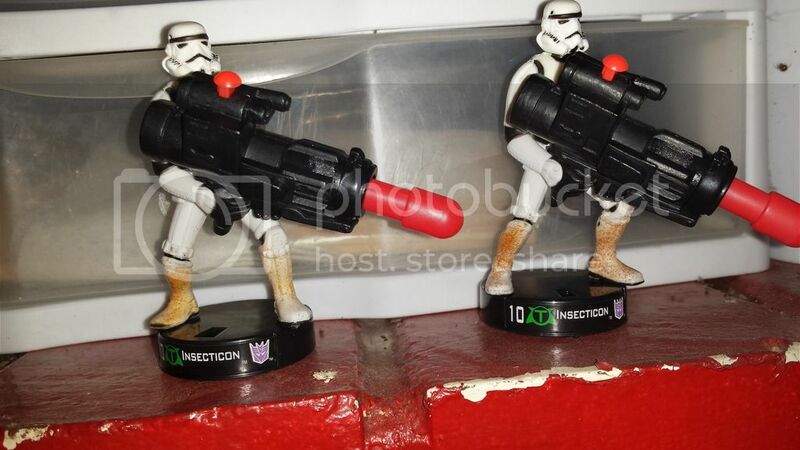 Well two of these were wave four Stormtroopers with Insecticon labels. Any one know any thing about these, how rare they are and if they are worth anything special?